We know that the connection may not be obvious, but if you're a practice owner who wants to be present with her family then you've really GOT to define your Ideal Patient! Let us tell you why in this episode of the podcast. Women who are both moms and chiropractors don't have unlimited amounts of time to work on their practices. That's for sure! We have to be smart about how we utilize our time and energy and get the most bang for our buck, so to speak, in all of our efforts. One way that will absolutely make marketing your practice easier is to create an Ideal Patient Avatar. Really knowing who your avatar is will allow your marketing to be as efficient and effective as possible. In other words, you'll be able to spend less time and energy being everywhere doing everything to grow your business, and you'll be able to focus in on attracting the right people to your practice. 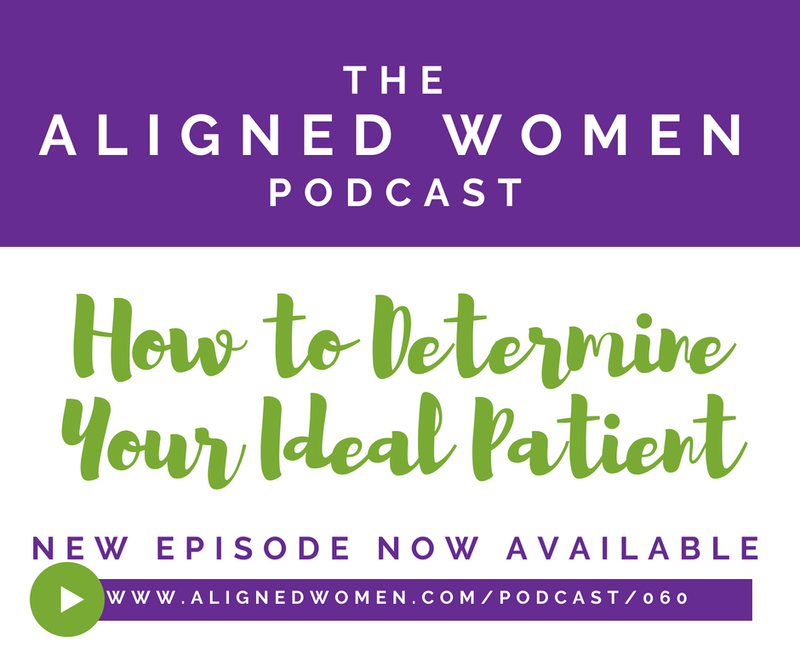 In episode 060 of The Aligned Women Podcast, we're going to take you through the basic steps of how to create an Ideal Patient Avatar. If you want more help with this process, then the next step is to join the waitlist for the Aligned Women group coaching membership. After you've listened, head over to our free Facebook community just for moms who are chiropractors, Mama Chiropractors, and let us know your most important take-away from this conversation. See you there! We have only a couple more spots open for the Elite Women Mastermind starting July 26th. If you’re ramping up your practice and setting your sights on earning 6 figures in revenue or more—and you want support, accountability and focus in staying on track—then apply here today!